'Tis the season for gift giving and trying to find the perfect gift ideas for the college student in your life. Perhaps it’s your son or maybe it’s your girlfriend. Whoever you’re buying for this holiday season, these are the perfect gift ideas for college students. Giving a gift that allows the college student in your life to decorate their 4 x 4 cell, errr, we mean dorm is always an excellent idea. It makes them feel at home while adding a reminder of your relationship in their living space. So, make sure you wrap up some dorm wall decals. Every college student spends the majority of their time on their laptop. 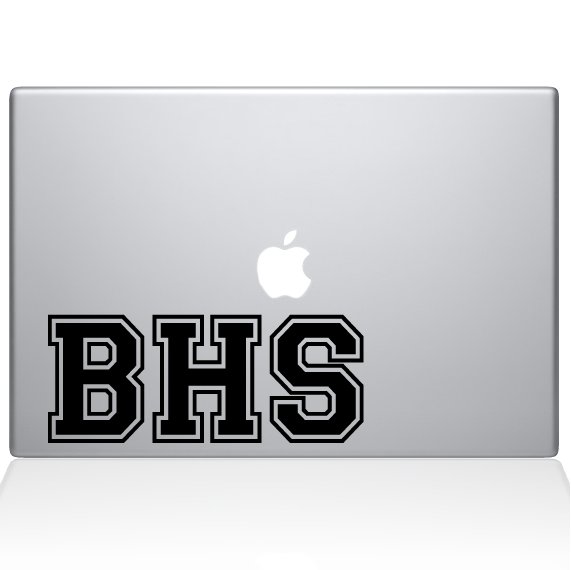 So, give them some laptop stickers and mac decals to help them personalize their tech. It’s rare to see a car on the road that isn’t personalized. So, if the college student you’re buying for is one of the few out there that is still driving around plain and boring, wrap up some a car decal this holiday season. College isn’t just a place people go to learn. It’s a lifestyle – and the best experience ever. Grab some college memorabilia, such as a personalized college flag, and gift it this holiday season to the college student in your life. Chances are, the college student you’re buying for has plenty of college shirts. So, gift a college shirt that is a little different from what they're used to. Humor always works! If the college student you’re buying for isn’t using a planner, procrastination is likely their best friend. Gift some planner printables to help them make the organization process more enjoyable. These college gift ideas will be treasured for many years to come. Head on over to The Decal Guru to find some more inspiration!